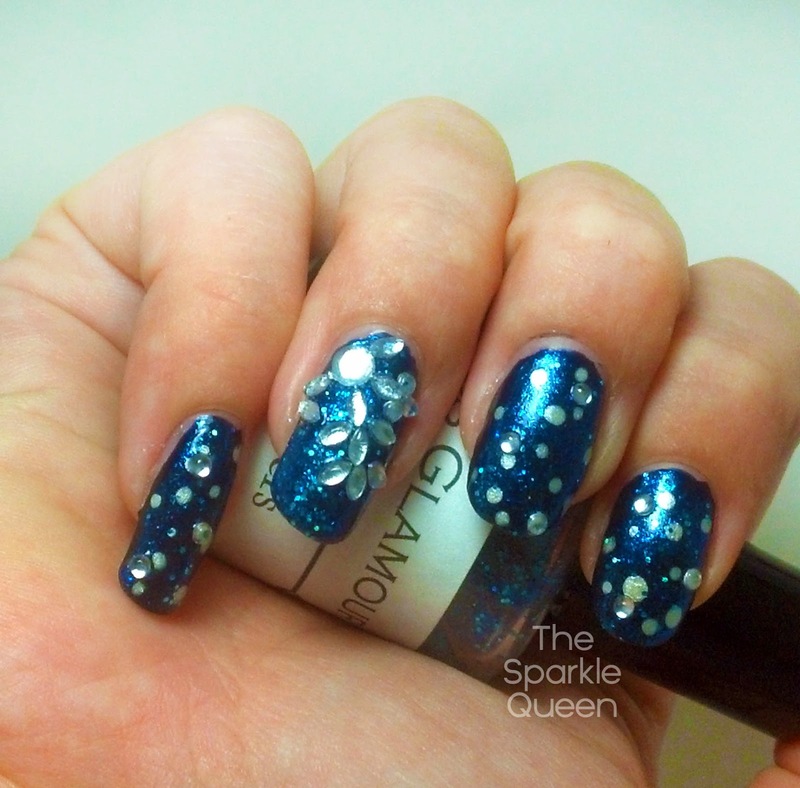 That’s kind of what I felt like when I created this mani. I was getting ALL sorts of close to this one, particularly sparkly snowflake. 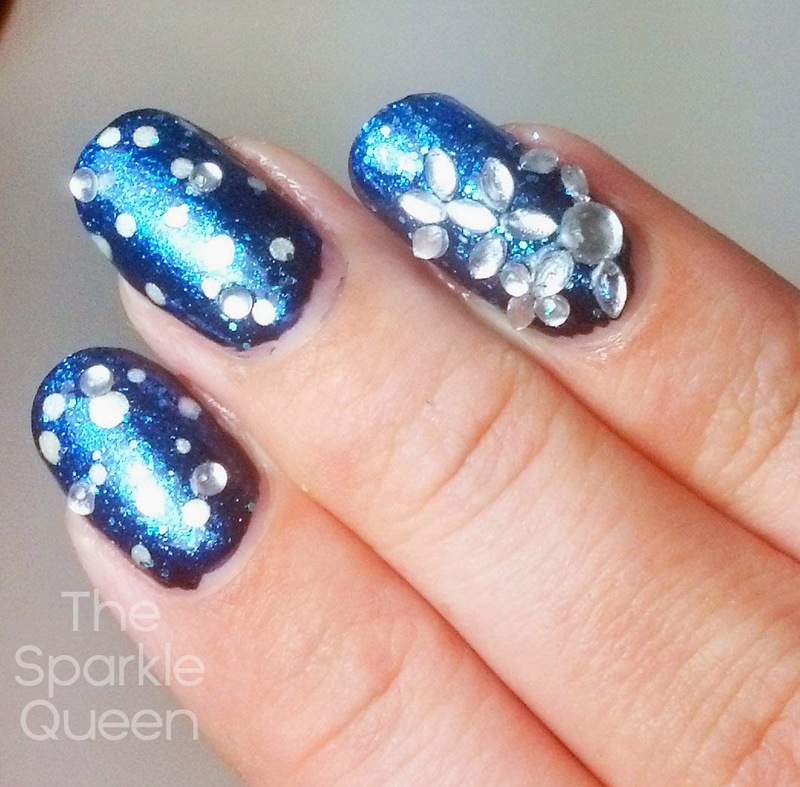 The snowflake was assembled by piecing together nail art rhinestones, and paired it with the same glittery polishes as my hand painted snowflake nail art look I shared the other day. One of these days I’m going to get better at capturing sparkly, glitter filled polishes like these, but apparently not just yet. 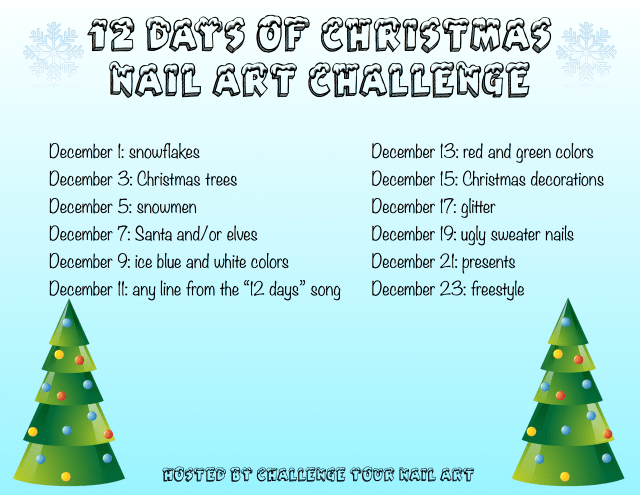 This look was created for the 12 Days of Christmas Nail Art Challenge going on now. How pretty! I like the blue base here a lot. I love how you've done this! 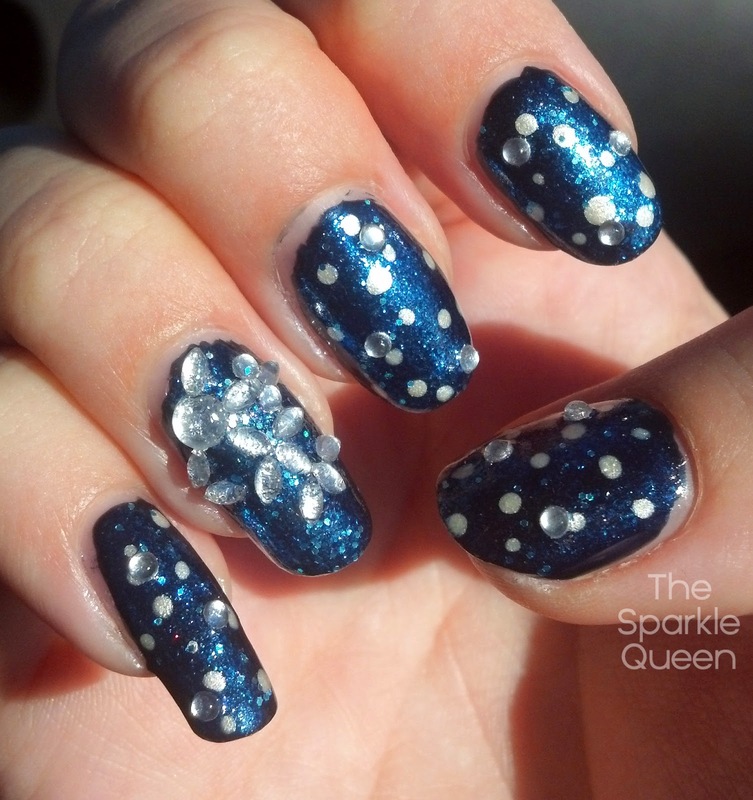 I'm totally loving your mani – especially the bling!